On our way to Magdalena from Pecos, we will pass through a couple of towns. Next up, is Sanderson. Now to kind of understand a model for what B. Smith is doing in Sanderson, you may want to read the recent Pecos Vally Southern series. 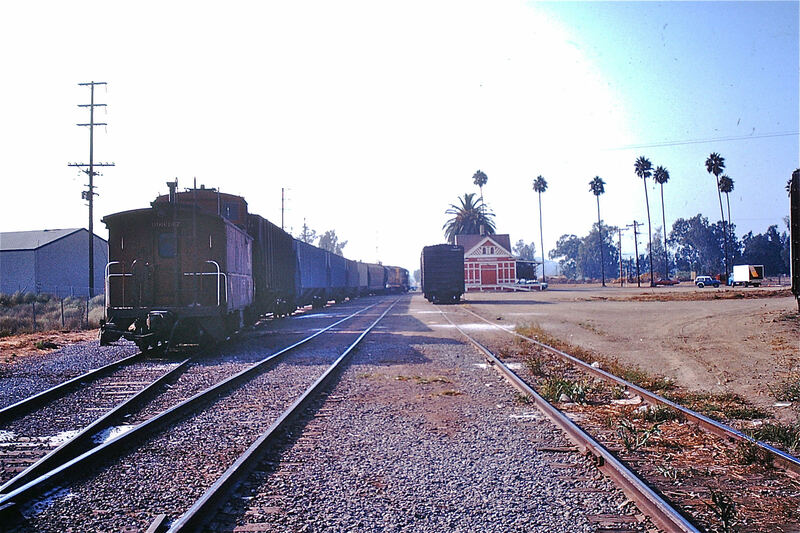 Click here to read part I.
Sanderson is all about what I think is the golden era of railroading–late 1960s to the end of the 1970s. 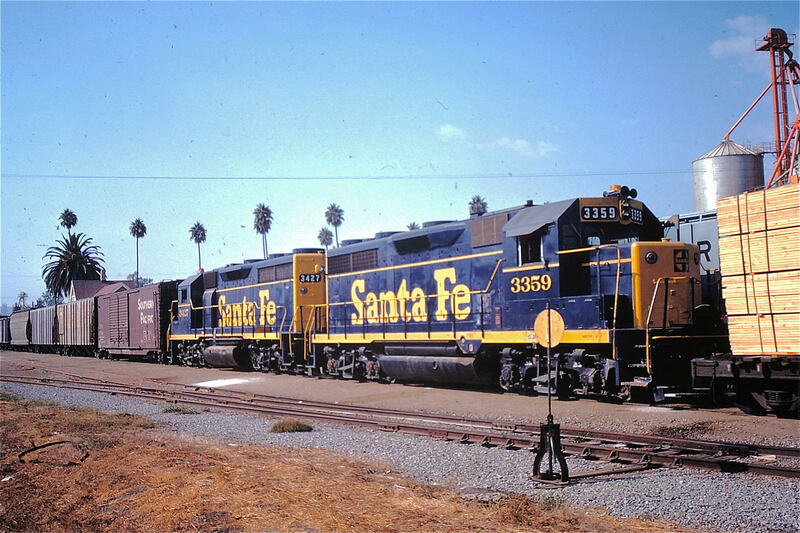 Sanderson gives B. Smith a chance to connect with a type of railroading that he initially fell in love with–Alco, F units, 40-foot boxcars, cabooses and lots of road names. He occasionally will even break out some steam when the owner of the line is nostalgic. Let’s check out some of the individual businesses. Above is Lazy W Ranch (where the MP hopper is spotted) and RJ Fuels. Lazy W Ranch also leases the old LCN station to receive shipments usually by boxcar and has a small molasses operation to the right of the station. The Lazy W Ranch is a big ranch and generates some rail traffic, but it also supplements its profits by selling feed, molasses and receiving goods for other ranches in the area. Below is an image of the Lazy W Ranch molasses receiving facility. Below we see some feed being unloaded for the Lazy W Ranch. The team track down from Lazy W also sees some action. Below we see another area ranch receiving feed. 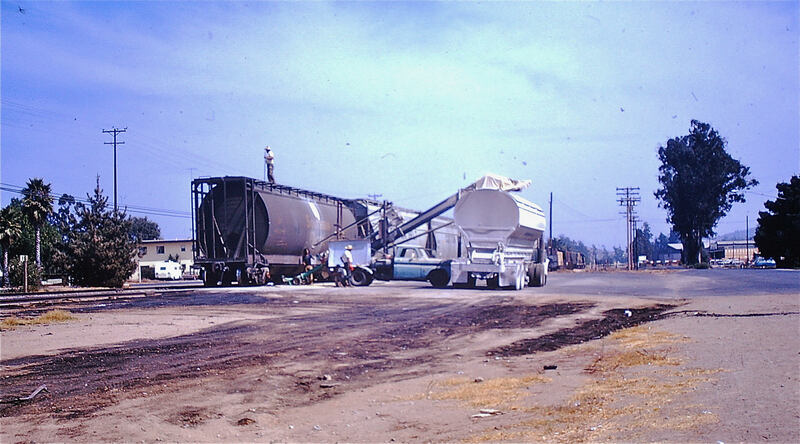 Below we see the highway department receiving some asphalt for an upcoming project. Here is Western Wool and Mohair at the end of a long spur on the edge of Sanderson. It is a regular customer for receiving bagged feed. Occasional shipments of wool still depart by rail as well. This is one of my favorite shippers on the layout. On the same spur as Western Wool and Mohair is a Safeway warehouse. This business was inspired by this story. Lava Rock is a fairly frequent shipper. Here we see a scene when the LCN has fired up the old steam engine to run the line. 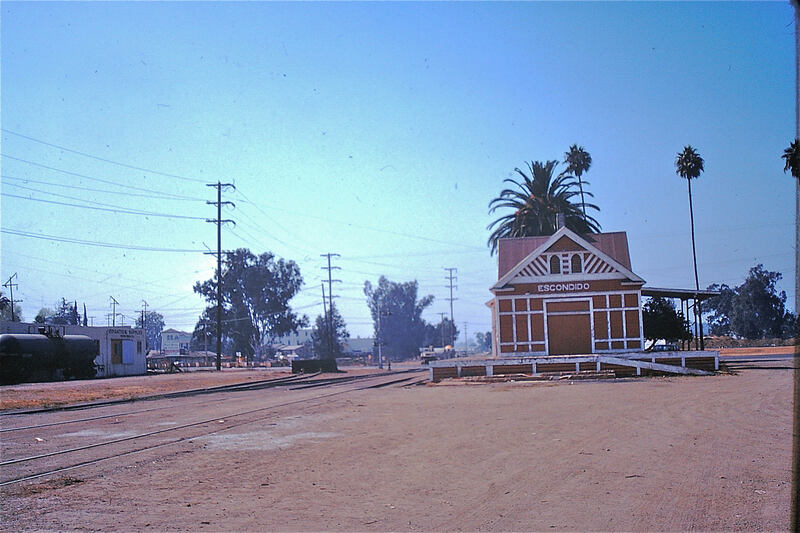 I love this little town set in the late 1960s/early1970s. It alone is a lot of fun to operate. It is the home of multiple businesses. 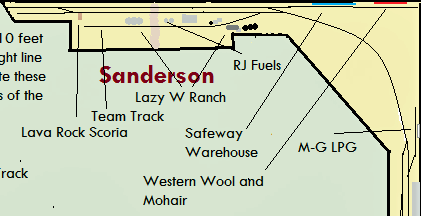 First coming from Sanderson into Pecos is M-G Fuels on the left. It is a modest feature on the layout. The LPG dealer is really only suggested by an unloading rack. Below we see it in the middle of the photo. 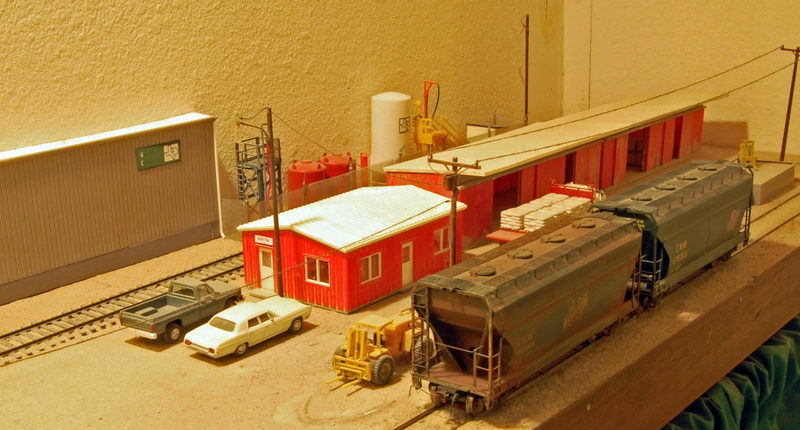 Fat Cow’s tank car unloading facility is the small shack and blue tanks. blue tanks. It serves to illustrate how one can create a traffic producing industry with minimal space. Next on the line is Fat Cow. Fat Cow produces livestock supplements to “bulk up” your herd. This business receives tank cars of molasses, covered hoppers of various ingredients, and occasional boxcar loads of bagged material. 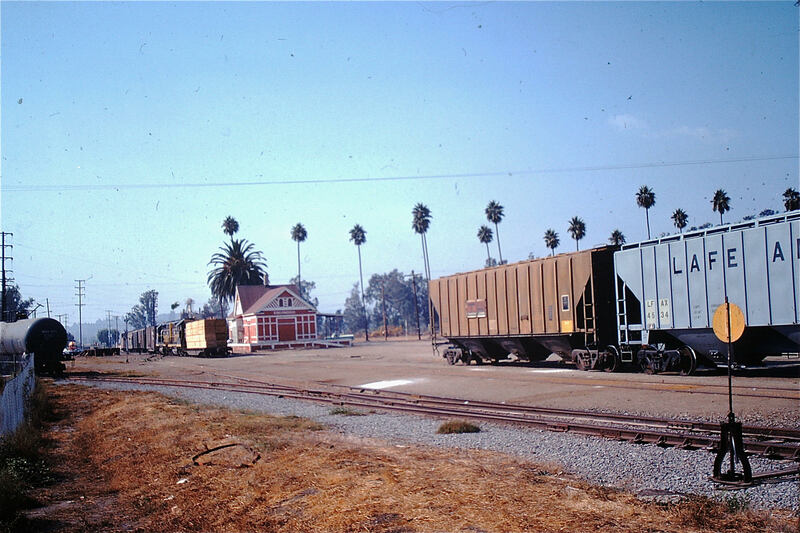 In addition, outbound shipments of its finished product are shipped in covered hoppers and boxcars. 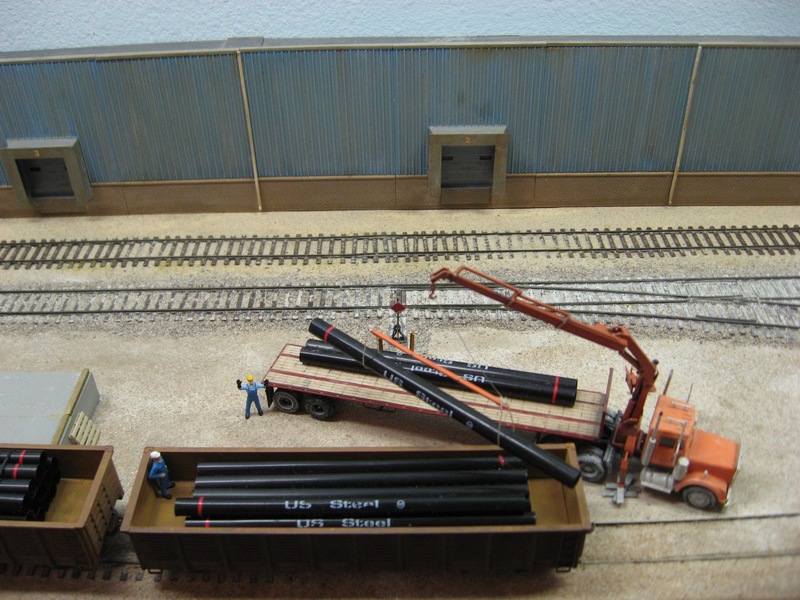 Above we see a boxcar spotted at the loading dock and a covered hopper being unloaded above the under-track pit. The blue overhead structure is for loading covered hoppers with Fat Cow’s product. 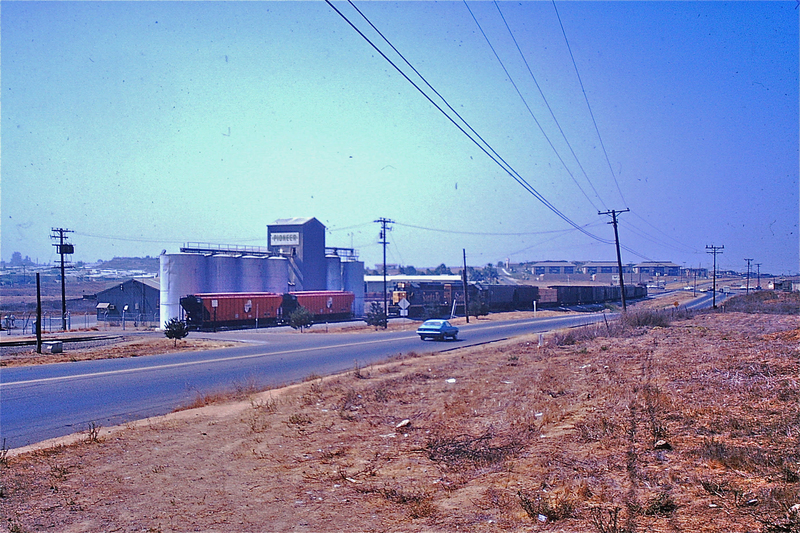 The above photo gives a better overall view of the Fat Cow operation, from the tank car unloading area on the left, the building that receives inbound boxcar shipments, a loading dock for outbound boxcar shipments, the overhead covered hopper loading structure, an under-rail conveyor leading into the blue building for unloading covered hoppers, and a pressure differential covered hopper unloading building and four tall tanks on the very right for fine powdered ingredients. Covered hoppers to be unloaded and ones to be loaded compete for the same track space so the train crew has to coordinate with the plant manager the order in which the cars are placed. Fat Cow has an electric car puller to move the cars being loaded or unloaded without a locomotive. 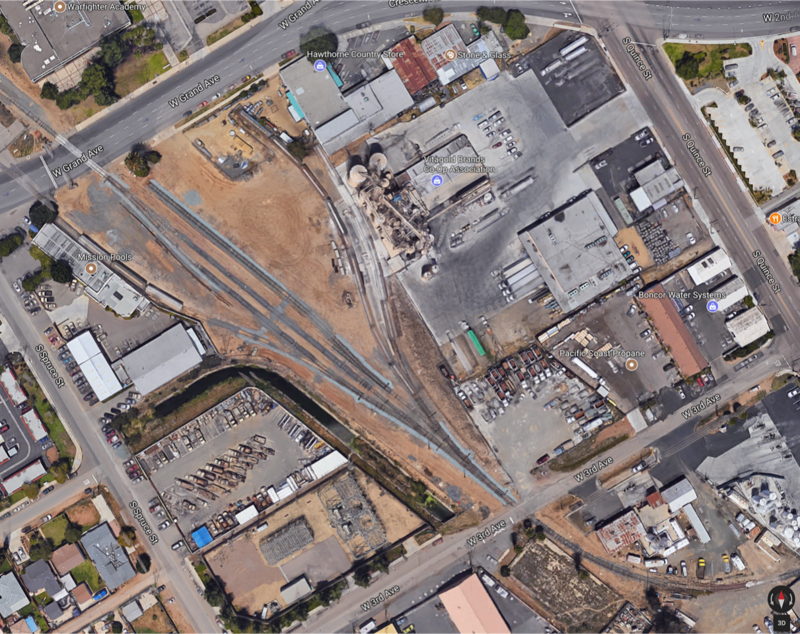 The LCN can’t let cars sit around and keeps a locomotive here for the Pecos train. The crew deadheads to work in the white suburban. Outbound cars are gathered up and the train leaves Pecos for the interchange. If the return trip to Pecos has more than five cars, which is often the case, the crew has their hands full because the short run-around track will only fit five cars, maybe six short ones. The engine often has cars ahead and behind it as things are sorted out and the cars spotted. 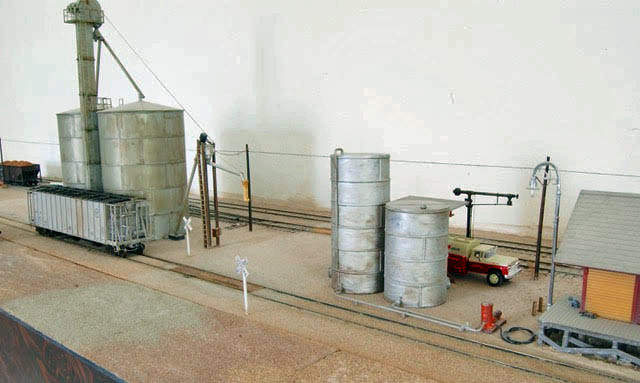 At the end of track in Pecos, we find Drill-Tex, the red structure below, and the unloading structures for Gerstle Chemical against the wall. 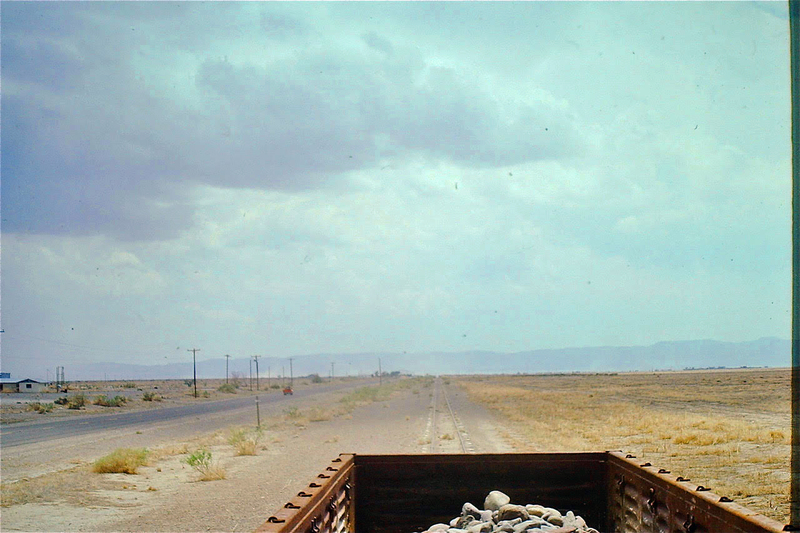 Gerstle Chemical receives tank cars of acid that are used in the oil fields around Pecos. 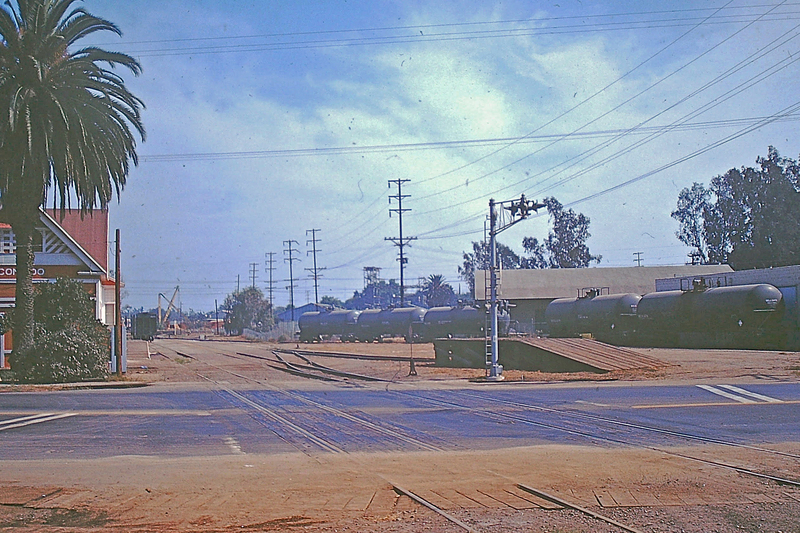 When chemical tank cars are spotted here it reduces the length of the tail track, further complicating the work of the train crew. Drill-Tex is a busy operation which receives bagged material (drilling mud) in boxcars and bulk material (frac sand) in 2-bay covered hoppers. Hydraulic fracturing is just starting in 1990 so unit trains of frac sand are still in the future. Boxcars are unloaded at the concrete docks, covered hoppers into the yellow structure that loads the trucks. Occasionally, sand cars are unloaded on the tail track with the white wheeled conveyor. These businesses result in Pecos being a very active end of the line for the LCN. In the last photo below, you can pretty much see all of Pecos along the LCN. In our next post, we’ll venture back in time and visit Sanderson. This is an introduction to a great layout that I have had the pleasure of operating numerous times. 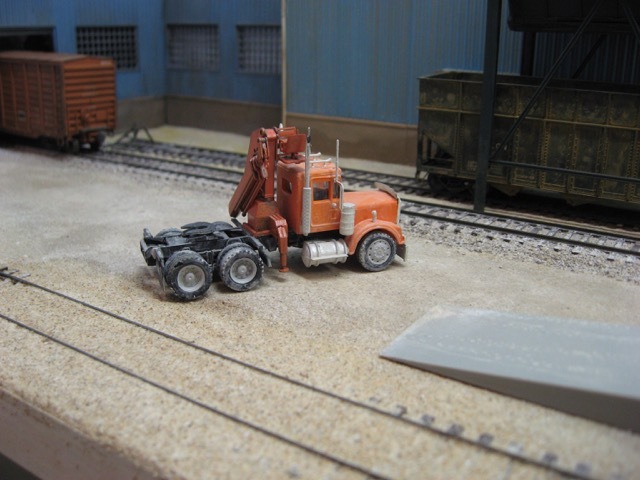 It is the product of B. Smith’s experience as a 1:1 scale railroader and his love of West Texas, Colorado and many other western locales including his native California. The Limpia Canyon Northern, the LCN, is a proto-freelanced layout set in dual eras. B. Smith cut his teeth as a professional railroader in the 1990s but he fell in love with railroads in the 1970s. 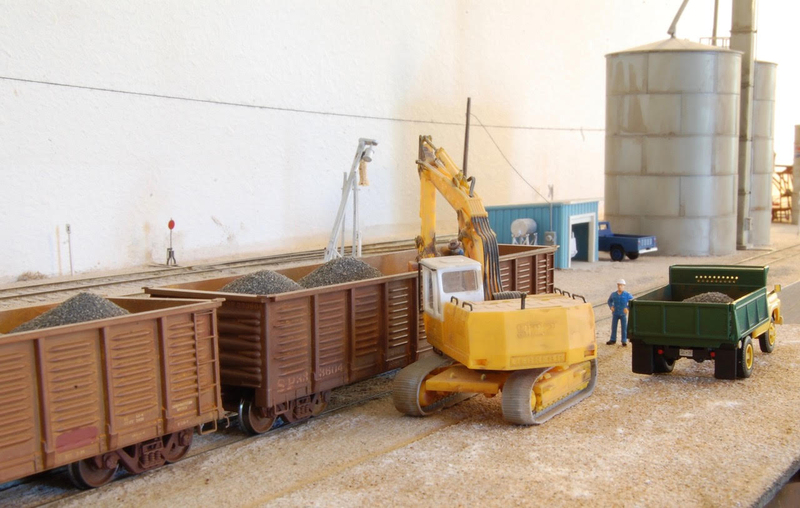 As a result, his layout has the novel approach of having one town on the layout set in the late-1960s/early 1970s and the rest are set in 1990. The layout is point-to-point and all shelf. I learned from him the lack of any need for being able to run trains in a loop. Since meeting the LCN, ALL my layouts have been point-to-point. I’ve never looked back for a second. The scale is not accurate but this gives a good overview of the layout. The towns of San Angelo and Sanderson are compressed and actually separated by the long stretch of mainline. Only Sanderson is set in the 1970s. This is a great added bonus. This allows B. Smith to break out his Alcos and boxcars with roof walks and cabooses and have a great time serving a small town with a lot of carload traffic. When operating in the 1990s, one just eases through Sanderson without skipping a beat. It’s just a small western town that time passed by. The next post will feature a town-by-town description. For now, enjoy a few random scenes along the LCN. In the next post, we will start with Pecos and start working our way to Magdalena. 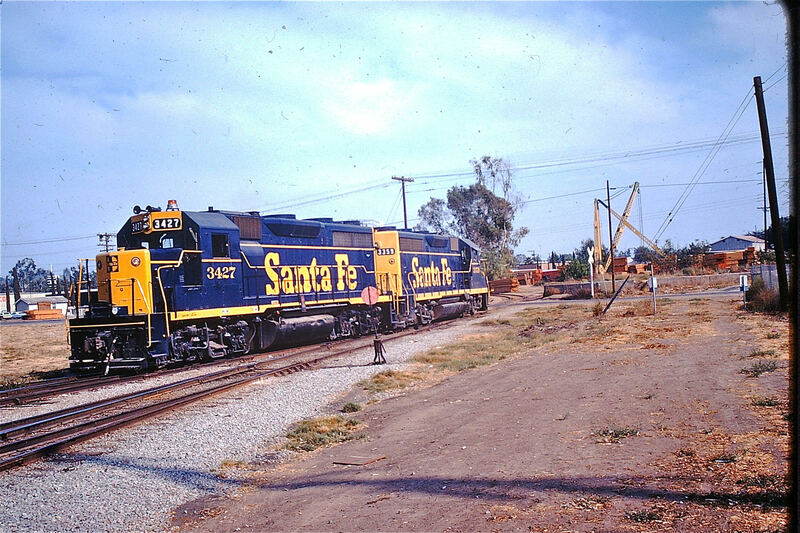 September 24, 1974 when I chased the ATSF local from Oceanside to Escondido. Below is a photo I took around San Marcos. A bit further along a covered hopper was set out below. Escondido was, and still is, the end of the line. I don’t believe the line ever extended beyond Escondido. I’m standing at the end of track in this photo (below). 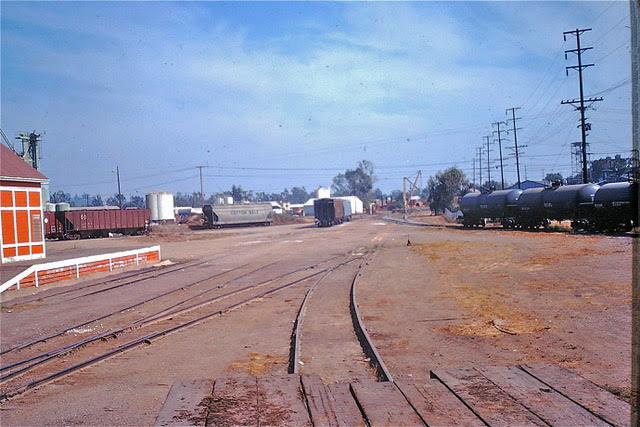 A lumber yard is off to the right and was still served by rail shipments. Below (next two pictures), a short spur ran to a ramp, probably to unload farm machinery. I don’t know why the tank cars are over on that spur. 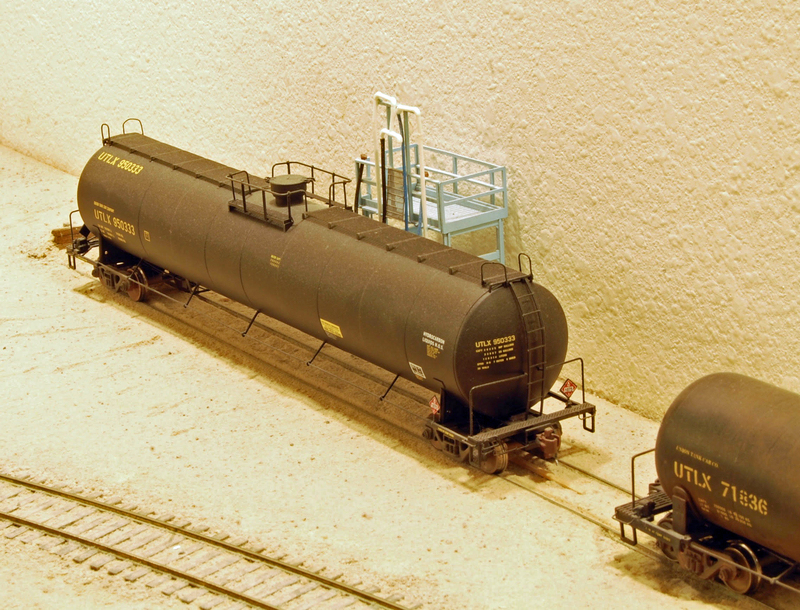 The tank cars are spotted next to an irrigation supply company, not sure what product was in them. I do remember learning that irrigation in the S. California area tended to build up salt in the soil. I wonder if the tank cars brought in something to neutralize the salt. The local arrived having already run around a car of lumber and put it ahead of the engine. One of the crew rode the point by sitting on the flat car. 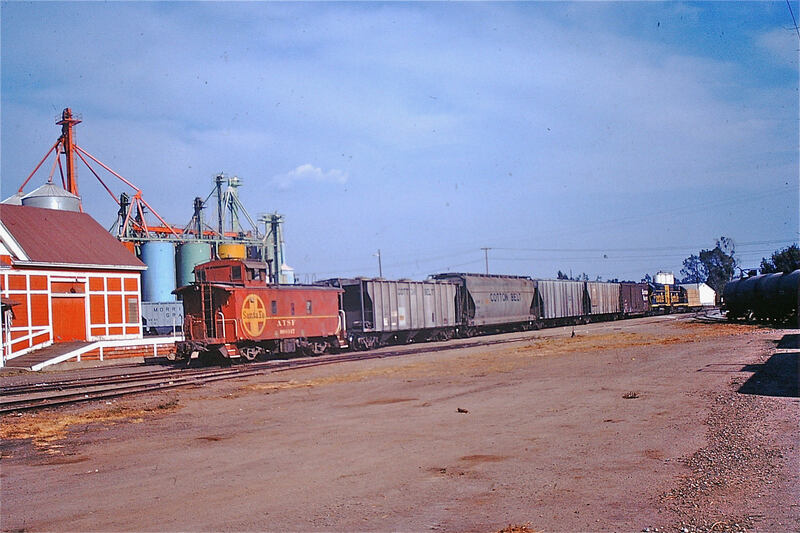 The two covered hoppers on the right are loads awaiting room on the unloading tracks next to the silos. They will be spotted for unloading by today’s train. Two GP-35s were the power today. Of course, trains still had cabooses in 1974. The load of lumber was spotted first, the covered hoppers were then spotted by the colorful silos and empties pulled, the SP box was left on the stub end track by the station which served as a team track. The train ready to return to Oceanside. 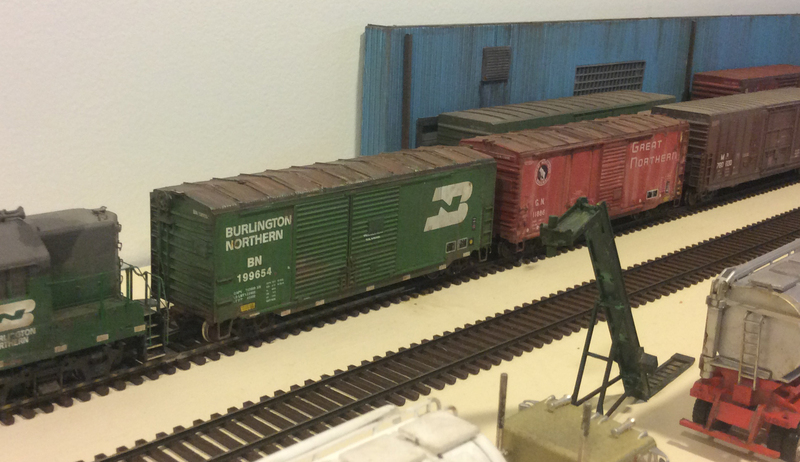 Six empty covered hoppers and a caboose barely fit in the run around track so the engines could get to the head end. Special Note: Please make sure you subscribe to Rails West to continue getting notifications of new posts. Rails West is now by subscription only. It will absolutely stay free. Please share the site with friends who love western railroading. I don’t believe the line ever extended beyond Escondido. I’m standing at the end of track in this photo (below) . A lumber yard is off to the right and was still served by rail shipments. Below, a short spur ran to a ramp, probably to unload farm machinery. 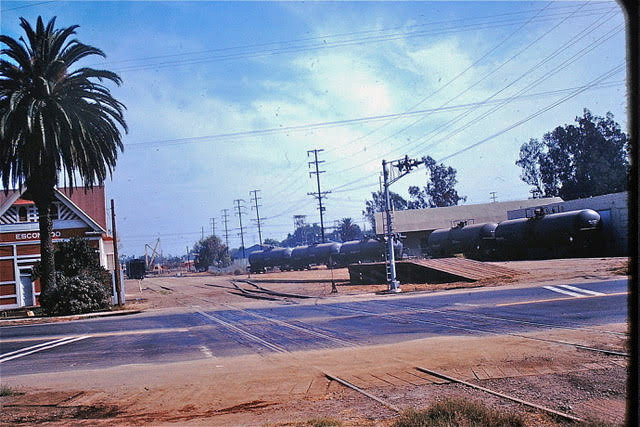 I don’t know why the tank cars are over on that spur. Today a pool supply company is located next to that spur. Could these be chlorine cars? They don’t look like chlorine tank cars. The local arrived having already run around a car of lumber and put it ahead of the engine. One of the crew rode the point by sitting on the flat car. The train to return to Oceanside barely fit in the run around track so the engines could get to the head end. Today this line still exists. The area along the entire line has been turned into housing and the line hosts the Sprinter Light Rail system, but amazingly, the business with all the colorful silos is still there, and rail served. 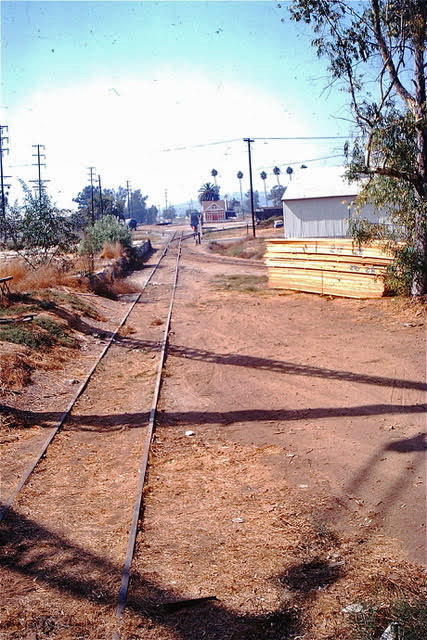 The station is gone as is the ramp spur track. Many photos over the years by Steve Vincent on railcarphotos.com are taken at this industry. One can enter “Escondido” and “CA” here to see them. Special Note: Please make sure you subscribe to Rails West to continue getting notifications since the Rails West and ATSF Roswell Facebook pages will soon be largely dormant for the time being. 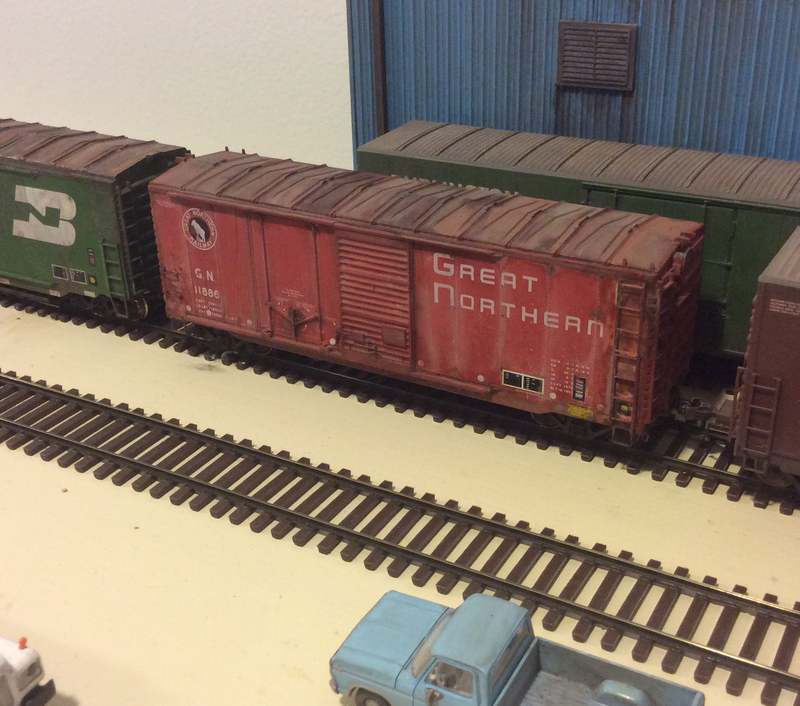 Over the years, I have shared a number of my boxcar projects on Rails West. Here’s a recap of some of my favorites. The Wabash and Rock car below were discussed in this post. Both are Moloco cars, One of the best model producers going now. 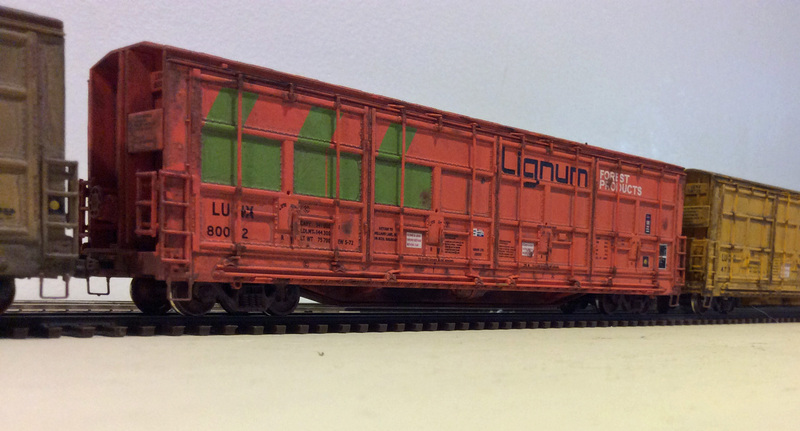 The below cars are a heavily reworked Accurail and Athearn RTR. Here’s the original post. Lastly, an all-door post. 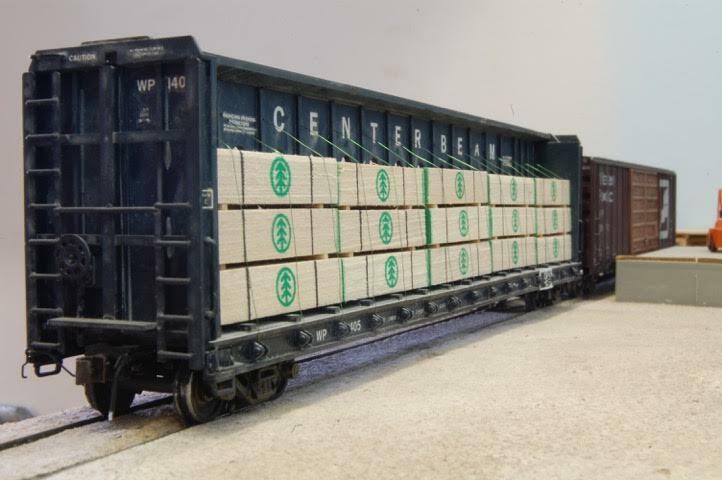 I am pretty partial to all-door boxcars. Hope you enjoyed these in case you missed them the first time. Please make sure you subscribe to Rails West to continue getting notifications since the Rails West and ATSF Roswell Facebook pages will soon be dormant. 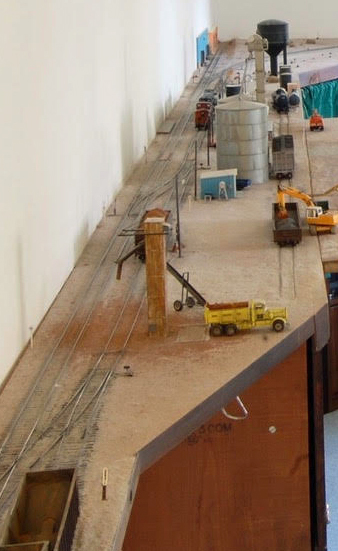 For the first time, the Limpia Canyon Northern layout in its entirety will be shared with subscribers of Rails West. You have seen bits and pieces of it but this series will show the entire layout from Magdalena to Pecos, including a comprehensive track plan. I am collaborating with B. Smith to prepare this series which will be shared in the coming weeks. It may take awhile to share the entire series. Special note to my American followers: Soon the related Rails West and ATSF Roswell Facebook pages will go (for now) dormant. I have strong concerns about some of FB’s business practices concerning foreign entities and efforts to divide us. I am probably overreacting, but I (for now) wish to limit my interacting with or placing content on FB. Perhaps that might change in the future. Besides, social media takes a lot of time out of our lives that we will never get back. Go check out some beautiful sites around the world that can help us reflect on how much sacrifice has been made to give us our freedoms. We must resist efforts to divide us. It’s time we focus on what brings us together. OK. Enough said. No more “politics.” Back to railroading! Please make sure you subscribe to continue to receive Rails West posts.